Cut off and discard the very ends of the swiss chard. 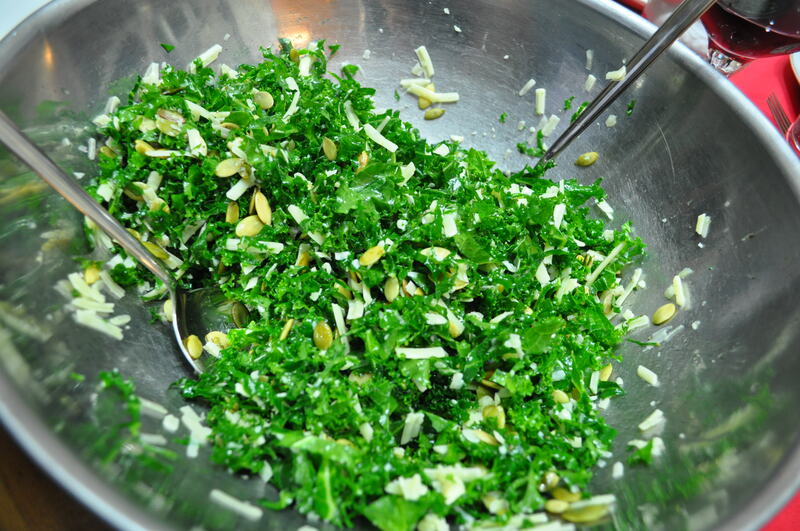 Coarsely chop, stems and all. Rinse well and set aside in a colander to drain. Meanwhile, heat the oil in a heavy pan. Add the garlic scapes and salt and saute on medium heat just until the garlic begins to brown. Add the swiss chard, and cook, stirring frequently, for 3-5 minutes or until tender. Set aside until the polenta is done. 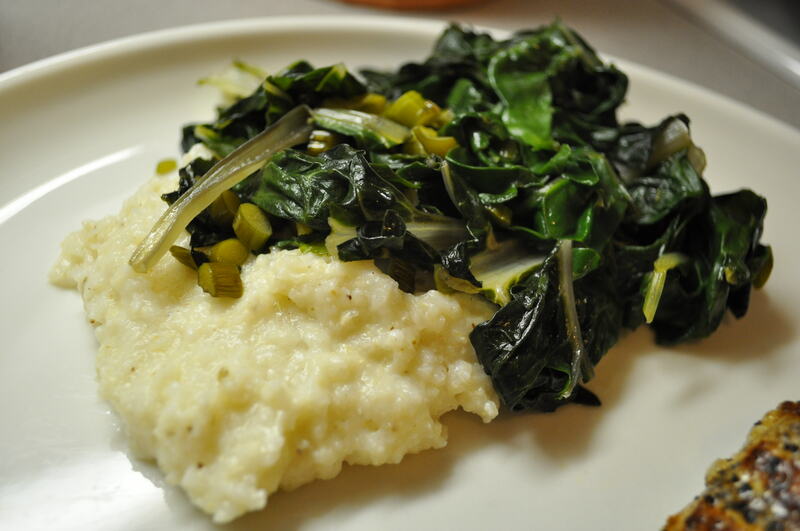 Serve the polenta topped with swiss chard and a little extra parmesan cheese.